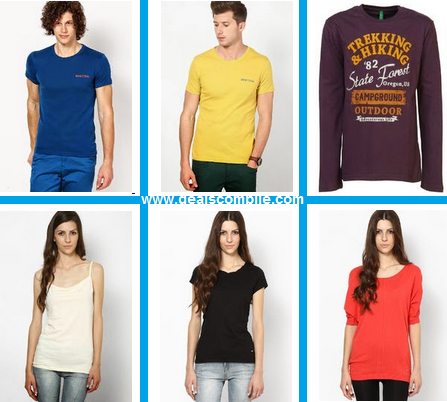 Jabong has come up with an offer where you can get UCB Men's T-shirts and Women's Tops at Flat 50 % off starting at Rs.200 only. Here you will get an awesome and vast collection. To get this deal follow the below mentioned steps. 2.Add the products into your cart.